If you have been following my blog for more than three months, you should have read this before. If you wonder why I am reposting it again and again, the answer is simple: it is awesome. You could learn awesome Dashboard skills by watching the webinars alone. 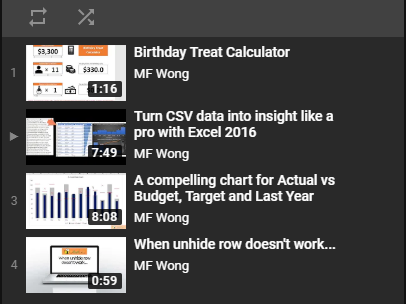 If you are serious in taking your Excel skills to the next level, you should really take time to learn more about Excel Dashboard. If you’re not sure what a dashboard is, or how these skills might be relevant to you, or you think Excel Dashboard is too advanced for you, then you can attend one or both of Mynda’s FREE Excel Dashboard Webinars. You will be surprised that it is less difficult than you may have thought about. Nevertheless, you are expected to know Pivot Table. Let’s take just one hour to watch one of the webinars, you will see! 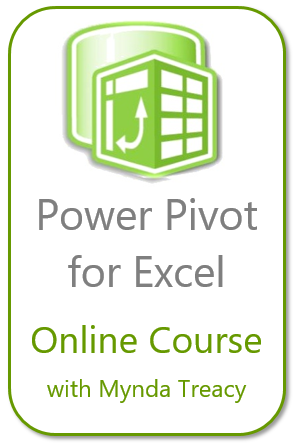 If you have Excel 2010, 2013 or 2016* then this webinar will showcase how you can use Excel’s Power Query tool to get data from multiple sources, mash it up with Power Pivot, analyze it in PivotTables to create this interactive Excel Dashboard. But hurry seats and sessions are limited. Click here to register for the free webinars. What’s next after the webinars? If you’ve attended Mynda’s free Dashboard webinar then you’ll know how powerful Excel is and how having Excel Dashboard skills will skyrocket your productivity and career. If you want to acquire the Excel Dashboard skills, you may enroll Mynda’s course. Loads of people have already registered and are on their way to wowing people with some killer reporting tricks, not to mention getting their work done faster. So, go ahead and enroll here before the discount ends on October 5, at 8pm in Los Angeles to be exact. Disclosure: I make a small commission for students who join Mynda’s course via my site, but as you know I don’t just recommend anything and everything. It has to be of outstanding quality and value, and something I can genuinely recommend. After all, if it doesn’t live up to what I’ve promised you’ll think poorly of me too and I don’t want that. Oh, and just watching the course videos won’t transform your career, you have to actually put it into practice, as if reading a cookbook won’t make you a chef.